We meet twice weekly for our 3-4 year olds. These mornings are usually filled with loads of sensory play activities and music, and usually end up very messy, which we don’t mind at all. We encourage our kids to have fun and engage in activity that is appropriate for their age. 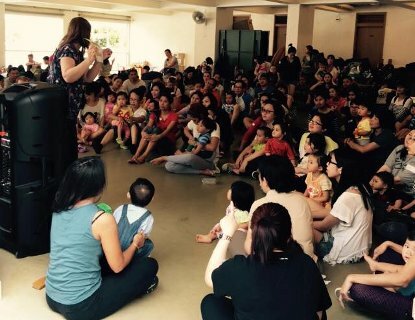 One other day a week, we put on a big playgroup for kids and toddlers. There is also a lot of sensory play, plus music and story time. Here we also share with parents what our values are on childhood development, based on what we have taken on from the Fabianos’ over the years. But we are not just a playgroup. We function more like a community of parents, where mums participate in each session [preparation, clean up etc] and get to support one another in various ways during and outside of Go Kids time. Every month, parents are invited to attend a parenting workshop, where we share some of what we have learnt on how to meet the developmental needs of children, and what impacts this has on managing children’s behavior. Every parent who comes joins a small table with a facilitator, who leads the discussion on topical subjects. The workshops end with very practical Q&A sessions where a designated panel suggests solutions to real problems, based on their experience, and our framework of childhood development. We recently ran a Bible Camp over summer – 6 days over a 2-week period, of Bible stories couched in fun and play. Costume dress ups, a jumping castle, water slides, a water playground, a cardboard maze, new songs, old Bible stories and more– our families came to camp and enjoyed them all! It wasn’t all for the kids, parents also got the chance to sit together, chat, and support one another. 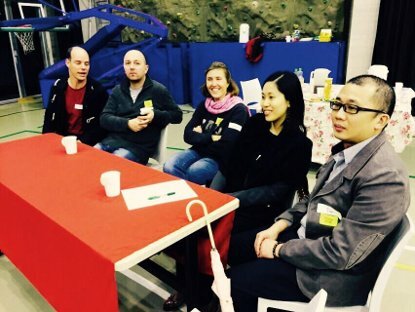 At a more intimate level, we run parent support groups all over Hong Kong, where all of the issues we talk about in large-scale events like a conference or workshop can be discussed in more detail. It is also where parents can receive prayer and support for themselves and their family. If you would like to be involved in any of the above, please get in touch with us via email or phone, or in person. 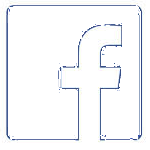 You may access the Go Kids’ Facebook page here. Additionally, Esther writes a weekly column about her experiences here.